Vuze Remote Toolbar by Spigot, Inc. - Boost Your PC. Removing unwanted toolbars is usually a good idea. The Spigot Vuze Remote Toolbar, like many browser plug-ins, has the potential to cause stability issues within the web browsers they load into, effecting overall PC performance. This toolbar is known to monitor your search queries and browsing habits in order to send you targeted ads and modify your search settings and results. 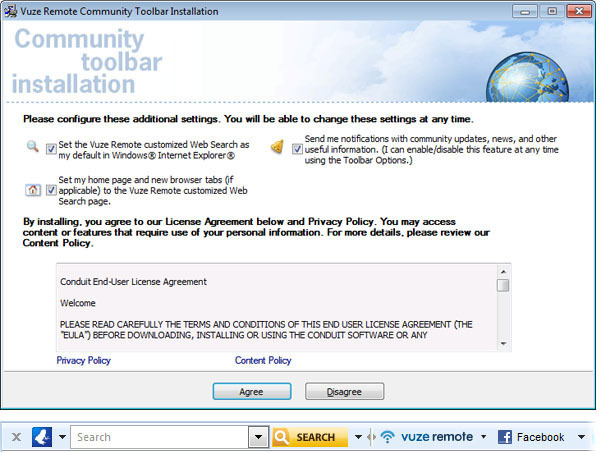 Vuze Remote Toolbar by Spigot, Inc.
Boost helps you remove Vuze Remote Toolbar by Spigot, Inc. and clean your PC.